It actually is possible to develop a fish tapeworm infection after eating raw or undercooked fish that is contaminated with the parasite Diphyllobothrium latum. In the case you mention, it was reportedthat a 20-year-old Ohio hockey player, who was suffering from mysterious fatigue and weight loss, went to the bathroom and saw that he had passed a 25-inch tapeworm. So, what are tapeworms and how can one get such an infection? Tapeworms are flat, segmented parasitic worms that can live in the intestines of some animals that have become infected from eating or drinking a food or water source contaminated with tapeworm eggs or larvae, according to the Centers for Disease Control and Prevention. People can develop tapeworms from eating raw or undercooked meat from a contaminated animal or from drinking contaminated water. 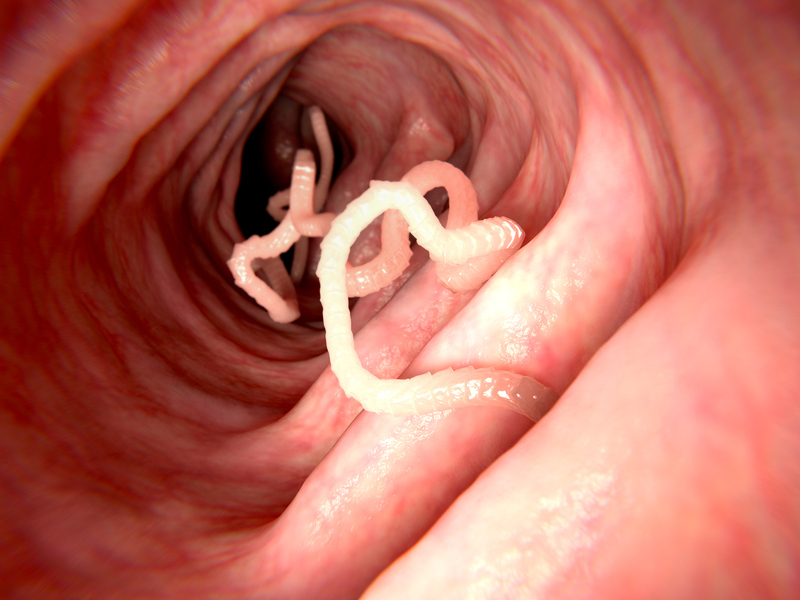 Once in your intestines, the larvae develop into adult tapeworms. Some species can grow up to 80 feet long and can survive in the intestines for years. While it is possible to develop tapeworms from eating raw or undercooked fish, it is not very likely. Parasite infections can be prevented and, according to the CDC, are easily treatable with safe medicines. The U.S. Food and Drug Administration says that those who prefer to eat raw fish should eat previously frozen fish. It is recommended to freeze and store seafood at an ambient temperature of -31 degrees Fahrenheit or below until solid, and to store it at that same temperature or below for 15 hours, said Sanja Ilic, the state food safety specialist for Ohio State University Extension. OSU Extension is the outreach arm of the College of Food, Agricultural, and Environmental Sciences at The Ohio State University (CFAES). “You can also freeze seafood at an ambient temperature of -31 degrees Fahrenheit or below until solid, and store it at an ambient temperature of -4 degrees Fahrenheit or below for 24 hours, as a sufficient way to kill parasites,” she said. However, for consumers who catch their fish fresh, most home freezers have temperatures at 0 to 10 degrees Fahrenheit, which may not be cold enough to kill parasites because it can take up to 7 days at -4 degrees Fahrenheit or below to kill parasites. Note that these conditions may not be suitable for freezing fish thicker than 6 inches, Ilic said. So, if you opt to eat raw fish, it’s best to choose fish that has been commercially frozen. However, it’s important to note that while freezing will kill the parasites that may be present in some fish, freezing doesn’t kill all harmful microorganisms. It is best to thoroughly cook fish and seafood, especially if you have a weakened immune system or care for someone who does. Fish and seafood should be cooked to an internal temperature of 145 degrees Fahrenheit. For fish, the flesh should be opaque and flake easily with a fork. In the case of shrimp, lobsters and crabs, the flesh should be pearly and opaque. For clams, oysters and mussels, cook until their shells open. And for scallops, cook until the flesh is milky white or opaque and firm.